London is developing hydroponic farming on a very large scale! 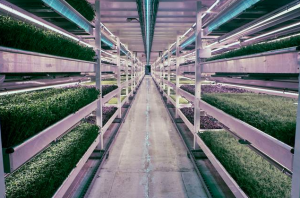 Utilizing old air raid bomb shelters from WWII, Zero Carbon Food, Growing Underground transformed one shelter into a hydroponic farm. This farm is a carbon neutral method of producing tons of food for the city’s residents, as well as recycling space!